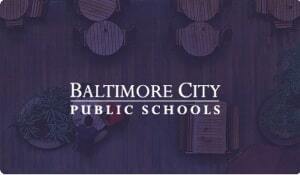 With the help of more than 11,000 full-time employees, Baltimore City Public Schools provide quality education to 82,866 students at nearly 200 schools in the greater Baltimore, Maryland area. Since its inception in 1829, literally millions of parents in Baltimore City have entrusted the education of their children to the school system; and for nearly two centuries, devoted teachers have accepted this great responsibility. The System Administrators plan to expand their use of Mailscape by taking advantage of the Personalized Dashboard feature to create customized views for their Tier 1 support and telephone administrators. “We want more groups to use the dashboard so that they can also benefit from the information you can extract from the tool,” affirms Zahn. Mailscape’s One Look Dashboard is an intuitive, visual approach to monitoring Exchange, graphically presenting real-time data on all the vital information that directly impacts Exchange uptime. Mailscape provides over 200 of the most commonly-requested reports, plus gives you the ability to customize an existing report or generate a brand new one.